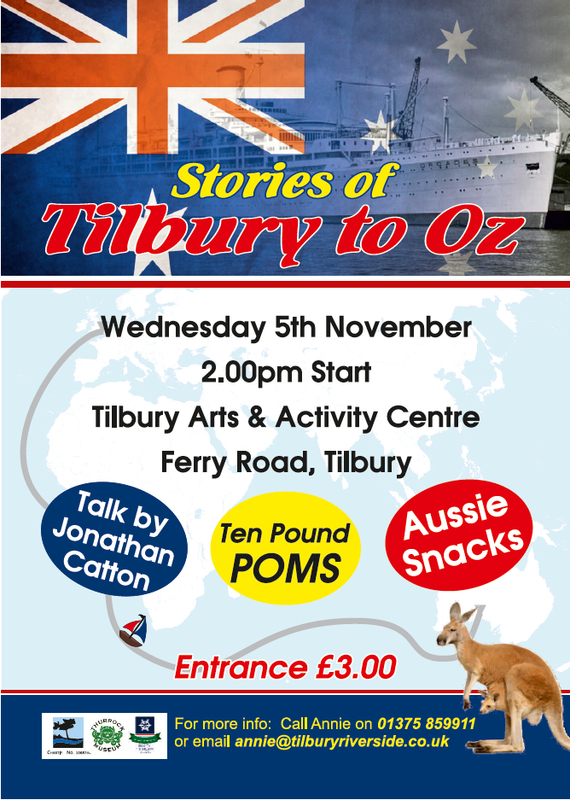 The Tilbury Riverside Project is having an Australian day on November 5th and are looking for any stories from you about the £10 POME tickets, living in Tilbury and then moving to Australia, or maybe you worked on one of the ships that went to Australia? 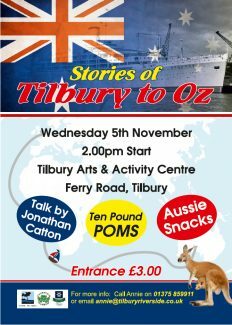 Have you got any relatives in Australia? The website would love to hear from you with your story, please dig out those old photos, talk to relatives, old letters ………….we need them. Please send to the site or ring Annie 01375-859911 for more information.